Fixes to the caravan frame. (Burstner, Chateau, etc.). 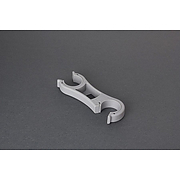 Upper and lower brackets are installed by using self tapping screws. Telescopic frame. Adjustable from 100 to 180cm. Carries 2 bikes. 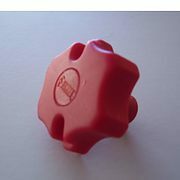 Supplied with Bike Block Pro 1 and Bike Block Pro 2. Quick Safe strap for Fiamma Carry Bike. 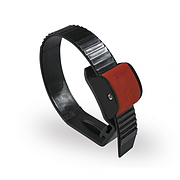 Sliding safety lock system. 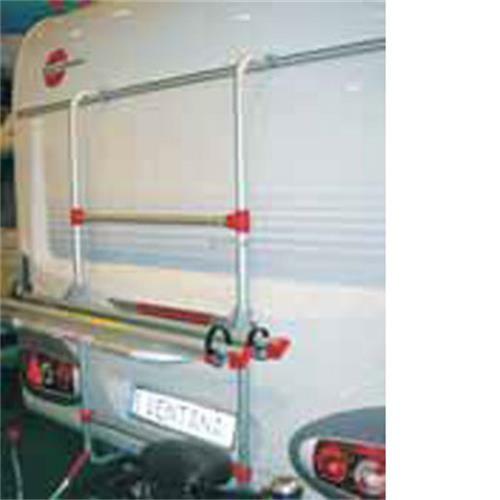 Can be installed only on original Carry-Bike reinforced rails. Will not rust and easily fitted via the base of the rail and sliding into the required position. Fiamma Quick Safe is supplied in 1 piece. 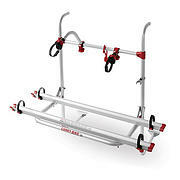 Grey Rack Holder for Fiamma Carry-Bike. Safely holds the support of the bike rack. Fits the majority of bike rack brands with Ø 35 mm tubes. Complete with two adapters for Ø 30 mm tubes.